When it is time to shop for a new garage door you may think it is as simple as picking what color garage door you want and putting it in your cart. Years ago there were not as many options available for garage doors but times have changed. There are so many different types of garage doors to choose from now. United Garage Door Service of Henderson is going to walk you through some of the different options available for homeowners. One thing that you will need to decide is what kind of material that you want for your garage door. There are many different types of materials to choose from. •	Wood: Wood garage doors bring a certain charm with them. Wood garage doors are built with layers. This will help prevent the wood from warping. Typically they are made with cedar, redwood, fir, or meranti wood. You can purchase a wooden garage door that are painted or stained at the factory or you can finish that on your own. Wood doors are very durable. If you have kids that play basketball in your driveway extra durability will be appealing! Wood garage doors can be a little more expensive to purchase so some people are deterred from wood doors simply because of the cost. •	Wood Composite: For homeowners that want the look of wood but have a smaller budget you may want to choose wood composite doors. Wood composite garage doors normally have a wood frame that is then covered with sheets of fiberboard. The density of the fiberboard will vary so make sure you pay attention to that detail. •	Fiberglass: One of the largest benefits of fiberglass garage doors is that they do not dent or crack like other types of garage doors. When these doors are built they will bond fiberglass to a steel frame and then fill it with polyurethane insulation. Fiberglass garage doors are avialbe in a large variety of colors. •	Vinyl: Vinyl garage doors are extremely similar to fiberglass garage doors when you look at them. 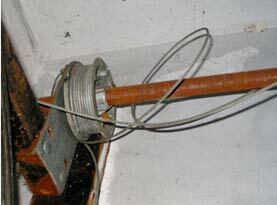 They are also built on a steel frame and filled with polyurethane insulation. One of the downsides to vinyl garage doors is that they are not available in as many colors as other types of garage doors. Hopefully the durability of vinyl garage doors will make up the lack of color options. Vinyl doors are considered kid proof because they are so durable. •	Metal: Metal doors are a very popular choice for a garage door. Metal doors are strong, long lasting, and extremely easy to maintain. Metal doors come in a wide variety of designs so you should be able to find a door that will fit the style you want for your home. You can purchase metal garage doors that have foam insulation in them as well to help keep your garage insulated. Once you decide what type of material you want for your garage door you will want to decide what type of garage door that you want. 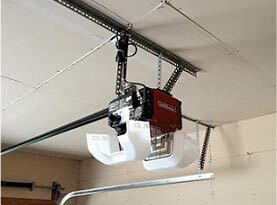 Garage doors can swing out, swing up, roll up, or slide to the side. Most people like the convenience of the garage doors that roll up. Roll up garage doors are the most popular option. If you want your garage door to make a statement you may choose carriage house doors that swing out. Carriage house doors truly make a statement for your home. Barn doors are a very popular type of sliding garage doors. 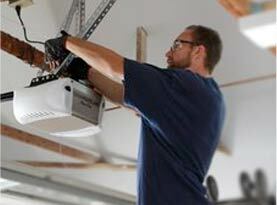 No matter what type of garage door you are debating United Garage Door Service of Henderson can help you. We can talk to you about what type of garage door would be the best fit for your home. 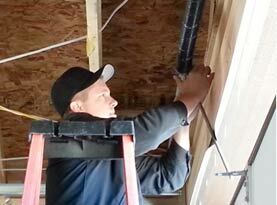 Once you decide we can help you get it installed. Contact us today!